A Declaration of Intention for cooperation between the SESRIC and the Ministry of Employment and Vocational Training (MEVT) of the Kingdom of Morocco has been signed during the closing ceremony of Vocational Training Meda2 Project and launching of the study on elaboration on the National Strategy for the Development of Vocational Training by 2020, which has been held on 28th June 2011 in Rabat, Kingdom of Morocco. For and on behalf of Dr. Savaş Alpay, Director General of the SESRIC, the Declaration of Intention was signed by Mr. Nabil Dabour, Director of Research Department at SESRIC, and for and on behalf of H.E. Mr. Jamal Rahmani, Minister of Employment and Vocational Training of Morocco, the Declaration of Intention was signed by Mr. Jamal El Aloua, Secretary General of Vocational Training Department. 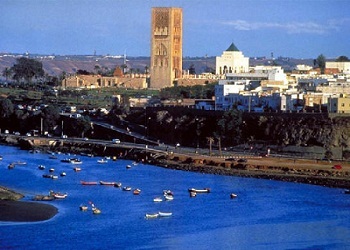 In accordance with the Declaration of Intention, SESRIC will support the MEVT of the Kingdom of Morocco in the elaboration on the development and implementation of National Strategy for the Development of Vocational Training Vision by 2020 through, inter alia, facilitating exchange of experts between Morocco and other OIC member countries and organizing training programmes and study visits in order for the General Secretariat of the Department of Vocational Training and the Directorate of Planning and Evaluation of Morocco, to benefit from the experience of various OIC member countries in the field of vocational education and training. On the other hand, the MEVT of the Kingdom of Morocco will support SESRIC in its training and technical cooperation activities, by responding to the questionnaires, introducing its capacity for the benefit of other OIC member countries, participating in various meetings of SESRIC, including the Meetings of the Monitoring and Advisory Committee of the OIC Vocational Education and Training Programme (OIC-VET), and helping SESRIC with its all communication attempts with Morocco, regarding the planning and organization of these activities.